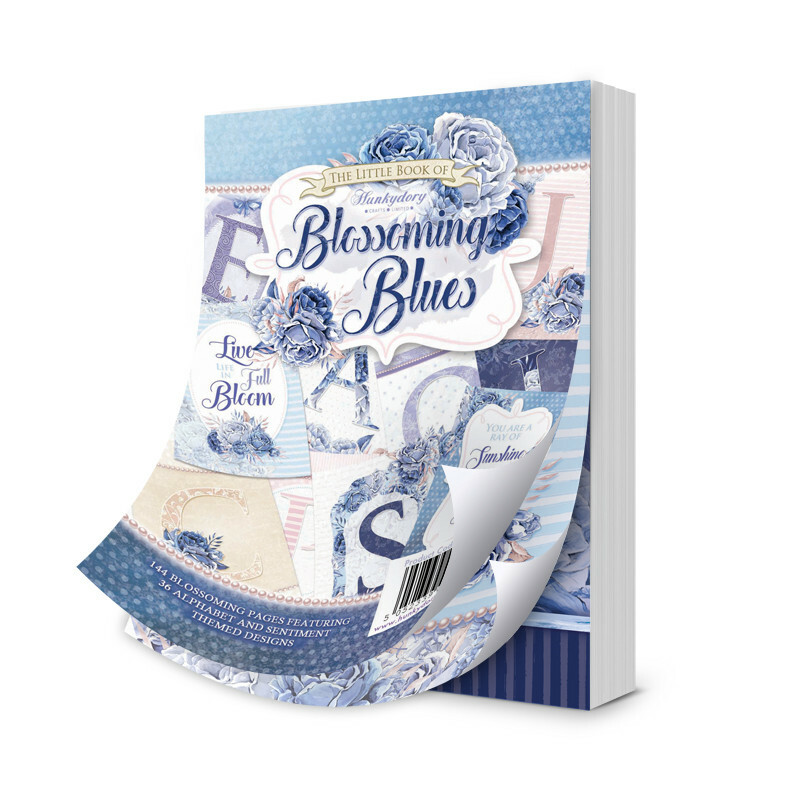 The Little Book of Blossoming Blues contains 144 single sided A6 pages, with 36 designs and 4 pages of each design, giving you plenty to layer and decoupage. You can also use the pages separately as Toppers with matting & layering to make even more cards – you could make 144 cards in total! The Little Book features a range of designs, including the entire alphabet, with gorgeous lettering embellished with the signature blue roses. Beautiful blue tones feature heavily throughout, with accents of pink, silver and soft grey for a feminine style. This Little Book offers the crafter a unique way to personalise their cards with the initials of the receiver! The gorgeous imagery perfectly coordinates with the Blossoming Blues Matt-Tastic Adorable Scorable Collection, so crafters can extend the creativity of this collection and make a huge amount of gorgeous cards suitable for a wide variety of occasions.